Genre: Tribute. 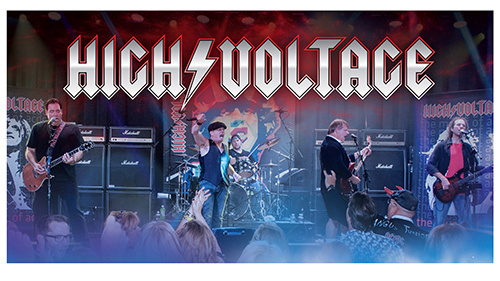 Baltimore’s own, HIGH VOLTAGE is the most entertaining AC/DC live show you will see, next to the real thing. HIGH VOLTAGE delivers pure energy, excitement and a concert experience.